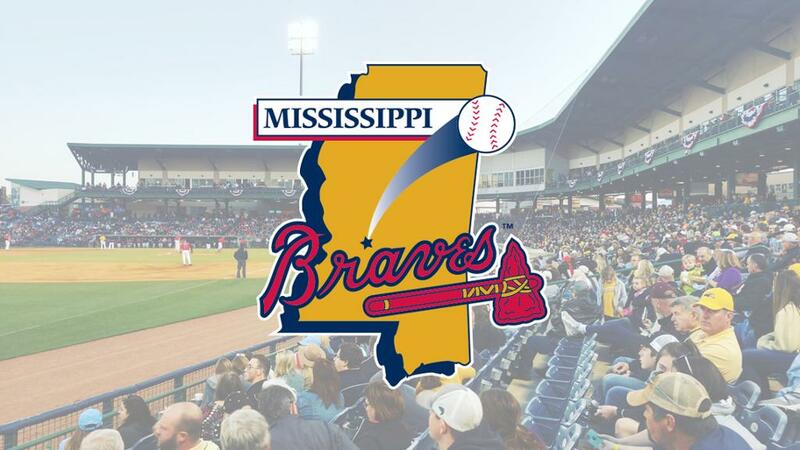 With MiLB Opening Day exactly one month away, let's take a look at how the Mississippi Braves are shaping up against a group of talented South Division squads. The M-Braves will be returning a majority of their coaching staff from last season, including field manager Chris Maloney. Off the field, the team has revamped their front office and will be offering a fresh slate of ticket options and promotions throughout the season. Mississippi has also unveiled a commemorative 15th anniversary logo, ushering in the crystal anniversary of Southern League baseball in central Mississippi. RHP Mike Soroka - The no. 24 overall prospect according to MLB Pipeline made his major league debut last season but was shut down in June following shoulder inflammation. Any action he sees going forward in Mississippi will likely be on a rehab assignment. RHP Kyle Wright - A former ace at Vanderbilt University, Wright was able to force his way onto the Atlanta Braves roster last year after beginning the season with Mississippi. He will begin his 2019 campaign either in the majors or at Triple-A Gwinnett. RHP Ian Anderson - A first round pick in the 2016 MLB Draft out of Shenendehowa High School in Clifton Park, NY, Anderson advanced to the M-Braves rotation for four starts toward the tail end of last season. With the M-Braves in the playoff hunt, the 20-year-old amazed by posting a 2-1 record alongside a 2.33 ERA. Despite the dazzling numbers, Anderson will likely start the season back in the M-Braves rotation. OF Cristian Pache - Atlanta's top ranked position player prospect according to MLB Pipeline appeared in 29 games for Mississippi to close the 2018 regular season before heading out to the Arizona Fall League as a 19-year-old. Pache seems likely to return to Mississippi, where he will once again patrol center field for the foreseeable future. INF Austin Riley - Riley started his 2018 season in his native Mississippi, but made it just a month before his nearly .400 OBP and 20 RBIs in 27 games forced the Braves to challenge him with a promotion to Triple-A. Riley is knocking on the door of the major leagues, and thus won't be a part of the M-Braves plans in 2019. RHP Touki Toussaint - A Southern League midseason All-Star last year, Toussaint exceled in both AA and Triple-A to force his way into the major league mix. He is fighting for Atlanta's fifth starting pitcher spot this Spring Training. RHP Bryse Wilson - Another talented pitching prospect in Atlanta's arsenal, Bryse Wilson began his major league career just a few months before his 21st birthday. With the M-Braves, Wilson recorded a 3-5 record along with a 3.97 ERA but went 2-0 with a 0.84 ERA in July prior to his promotion. OF Drew Waters - The 20-year-old outfielder is likely to start the season with Hi-A Florida, but seems like to split the season with Mississippi barring injury or a surprising drop in performance. C William Contreras - The younger brother of former Tennessee Smokies catcher Willson Contreras looks destined to return to Hi-A Florida before earning a promotion to Mississippi. M-Braves fans can expect to see a similar profile as William is plenty capable of performing on both the offensive and defensive end. LHP Joey Wentz - Perhaps the top left-handed pitching prospect yet to make his way to the M-Braves rotation, Wentz was limited to 16 starts last summer following an oblique injury. Still, he held hitters to a .206 average and posted a 2.28 ERA with Hi-A Florida and seems prepared to start the season with Mississippi. LHP Kyle Muller - A second round selection in the 2016 MLB Draft, Muller was a pivotal part of Mississippi's 38-30 second half record. Across five starts the 6'6" southpaw registered a 3.10 ERA. He is likely to start the season in Mississippi's rotation. RHP Huascar Ynoa - Ynoa will turn 21 in May this year, and by that point he may be ready to move up to Mississippi. The Braves protected Ynoa with an addition to the 40-man roster this past offseason and believe that he will be able to move up the organizational ranks during his second full season in the organization. OF Greyson Jenista - A second round selection in the 2018 MLB Draft, Jenista worked his way from Wichita State to Hi-A Florida thanks to his 50-grade hit tool and above average power. The 22-year old will likely be back in the Fire Frogs lineup to start 2019, but should move on to Mississippi during the wave of midseason promotions.